These small bottles with corks would be the perfect wedding favor for your summer, beach-themed, or even destination wedding. 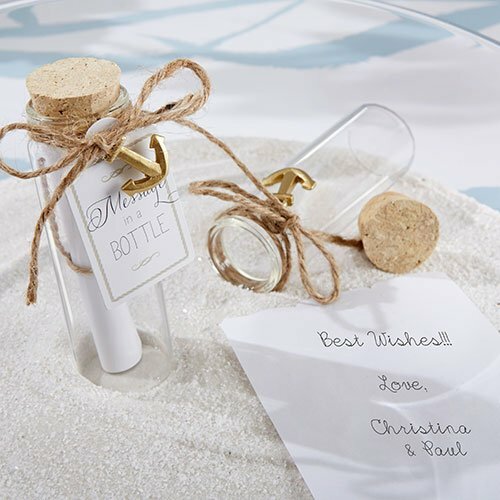 There are so many options with these favors – you and your significant other could write a message to guests and place them in the bottle, or you could encourage your guests to leave you a message! Imagine how fun that would be to collect all the messages at the end of the reception – you’d have an incredible keepsake from your wedding day! And the guests could take the bottles with them, maybe filled with sand from the wedding location. You’ll find these wedding favors here.